While many people who bought an original Huawei Watch are still counting the days until delivery of the Android Wear 2.0 upgrade, the long wait isn’t the only thing that’s bumming them out. One of the new OS’s best features, Android Pay, remains just out of reach since the watch doesn't have built-in support for NFC. Or so we thought. 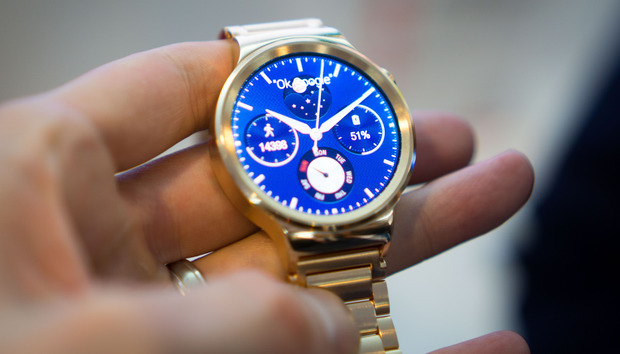 A report from Ausdroid indicates that the original Huawei Watch, one of the bright spots in the first crop of wearables, secretly included an NFC chip inside, it's just disabled. And the company is exploring ways to enable the chip for Android Wear 2.0. According to a statement from Huawei provided to the Australian-based site, Android Pay functionality on the original watch is currently being testing by Google’s engineers and might take some time to arrive, possible not until the third quarter of 2017. After a bug that caused a slight delay, Google has been steadily rolling out Android Wear 2.0 to last-generation’s watch owners, with the most recent updates reaching the LG G Watch R and the original G Watch Urbane. Those two models join wearables by Fossil, Casio, TAG Heuer, and Polar watches as the first to receive the update. However, as one of the most popular first-generation models, the Huawei Watch has been one of the most anticipated updates, even before this surprising bit of speculation. However, Android Central has thrown cold water on Ausdroid's report, saying that a Huawei rep told them that an NFC chip was not included in the original watch. We've reached out to both Huawei and Google and will update this article when we hear back. Watch this space: While it’s far from a confirmation (especially given Android Central's opposing claim), this report gives us a bit of hope we didn’t have before. The first batch of Android Wear 2.0 wearables that are enabled with NFC haven’t exactly been must-buys, so it was beginning to look like we were going to have to wait to find a watch that looked good and let us buy things from our wrist.